The Internet of Things, or IoT, is the idea of connecting devices over the internet, meaning that they can communicate with us, with each other and with applications. 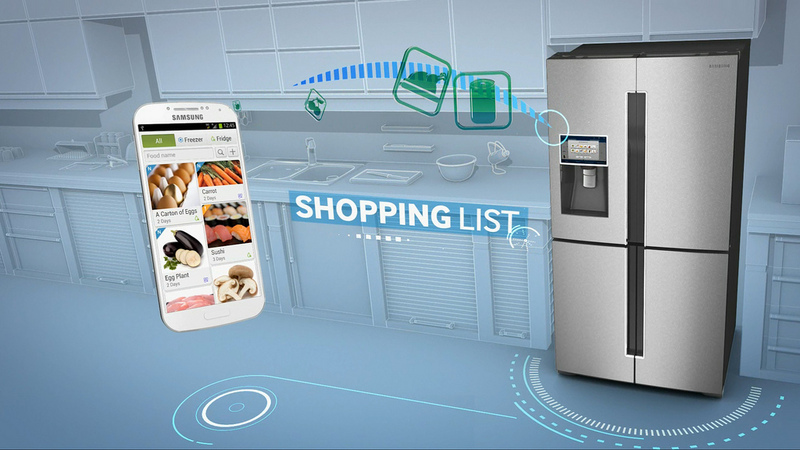 An example of IoT would be the smart fridge that would text its owner when it noticed that there was no milk left in the fridge, or that something was out of date. IoT is now being introduced into the retail industry, where it has been seen to increase customer loyalty, boost sales, offer a personalised experience and improve inventory management; and new research by Global Marketing Insights, Inc. has predicted that IoT in the retail market will reach over $30 billion by 2024. 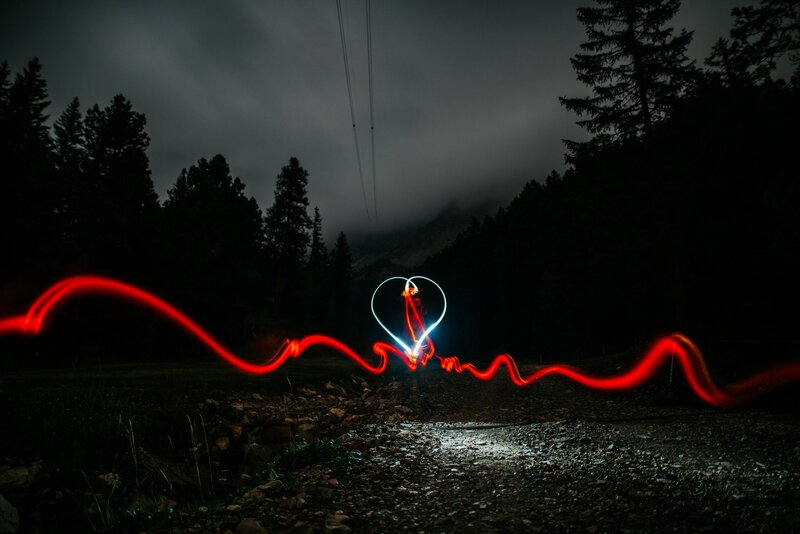 A further report by Verizon looked into how positively retailers that utilise IoT feel about the impact that it has had: 77% of retailers believed that their IoT solution improved customer experience, 89% reported that IoT helped them to increase their customer insights and 77% said that IoT helps to cooperate with partners to deliver quality products and services. IoT in retail comes in several guises – smart shelves, beacons, robots and digital signage. Smart shelves use RFID tags and readers as well as an antenna, which combine to make inventory management easier and more efficient. Managers are sent an alert if a certain item is running low or if the date will expire soon, making it easier to avoid oversupply, shortage and track in-store thefts. Beacons use low-energy Bluetooth to send messages directly to shopper’s smartphones to alert them about shares, discounts and offers in real-time when they are within range of the shop itself. By sharing this information with consumers at the right time and in the right place, they are much more likely to enter the store and to make a purchase. Beacons also provide invaluable data about customer in-store navigation and customer behaviour, showing consumer’s preferred routes, as well as their favourite goods, stores or concessions within a shopping centre or department store. Several companies have already integrated robots into their stores – Target has tested robots that help to stock shelves and take inventory, and several restaurants in China have replaced their waiters with robots. BI Intelligence – Business Insider’s premium research service – has made predictions that over 2.8 million ‘enterprise robots’ will be bought by 2021, making it a growing market for those who want to be at the cutting edge. Digital signage cuts out costly print media, and encourages far more customer engagement thanks to its interactive elements and the scope for personalisation. As well as displaying adverts on digital signage, they can be used to improve the in-store experience by pushing ads in real time that show changes to prices, or ‘last chance to buy’ offers can increase a sense of urgency. 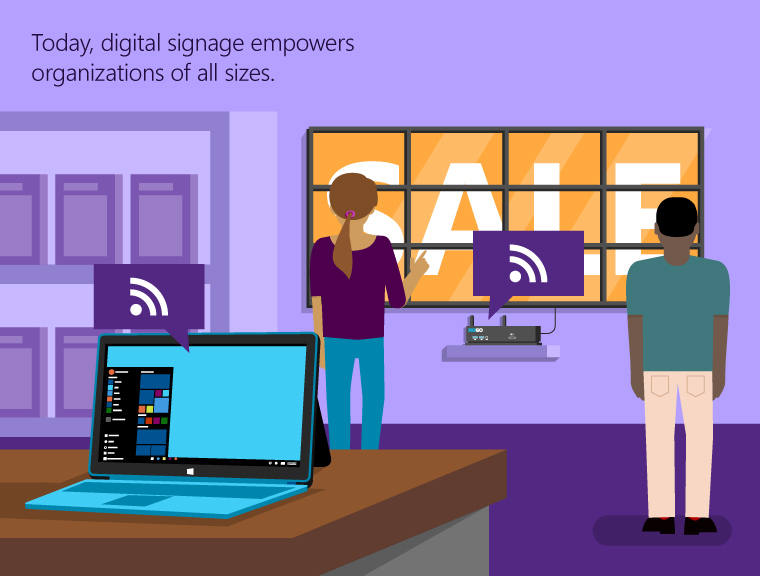 When combined with data from beacons, sensors and smart devices, digital signage can calculate when customers generally pair particular items, based on the time of the year or the weather that day. Using IoT technology, digital screens can display personalised promotions based on the data, as well as more general information such as adverts and catalogs. IoT is set to improve the customer’s experience of shopping by combining the best elements of online shopping – such as personalisation, data gathering – with those of the physical, in-store experience. For retailers, IoT is a great tool for reducing operational costs and removing much of the guesswork from retail management.